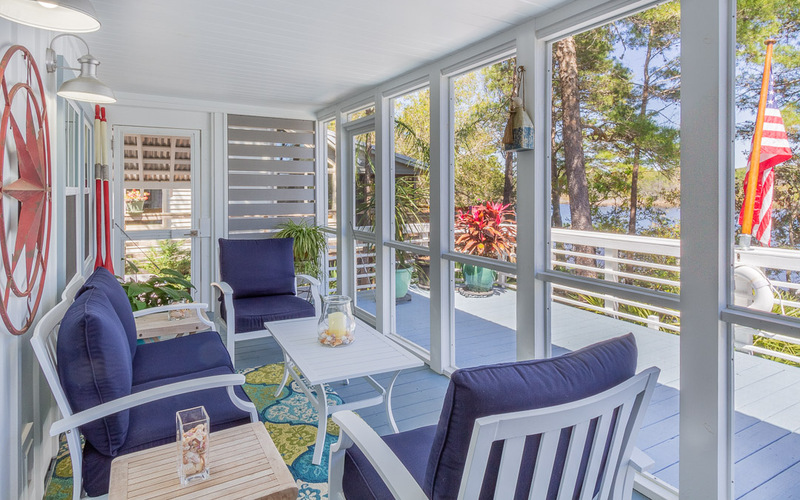 You will love Lakehouse Hideaway. 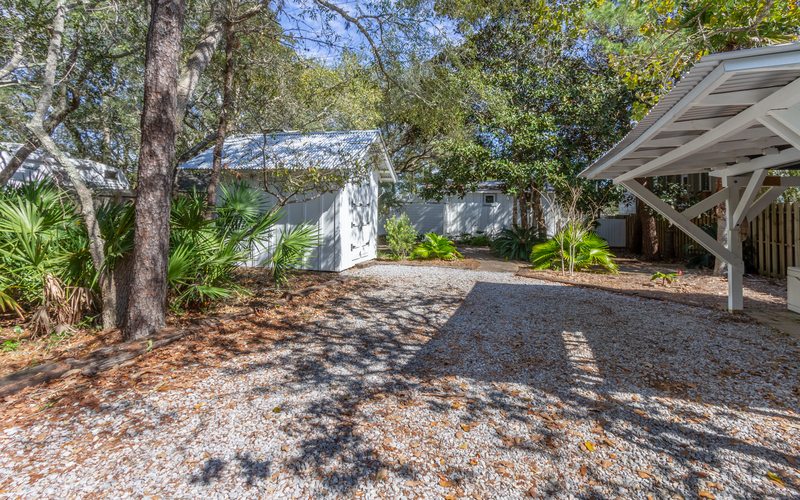 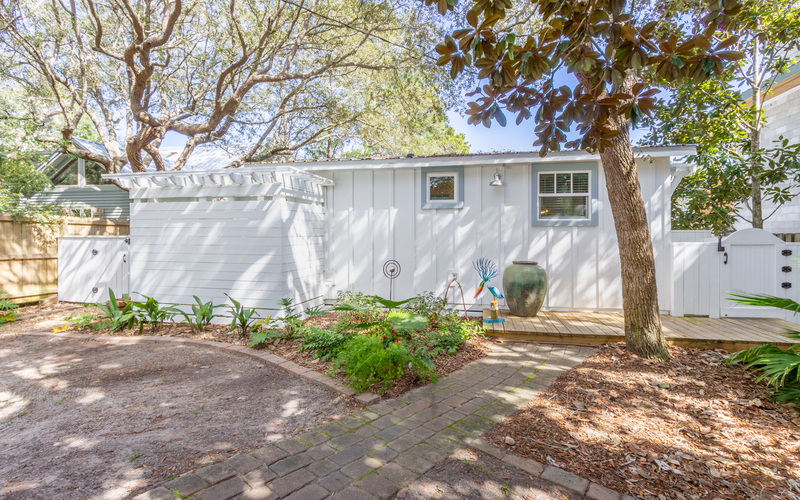 This beautiful home is nestled on the north side of 30A on Eastern Lake, across from Old Florida Fish House. 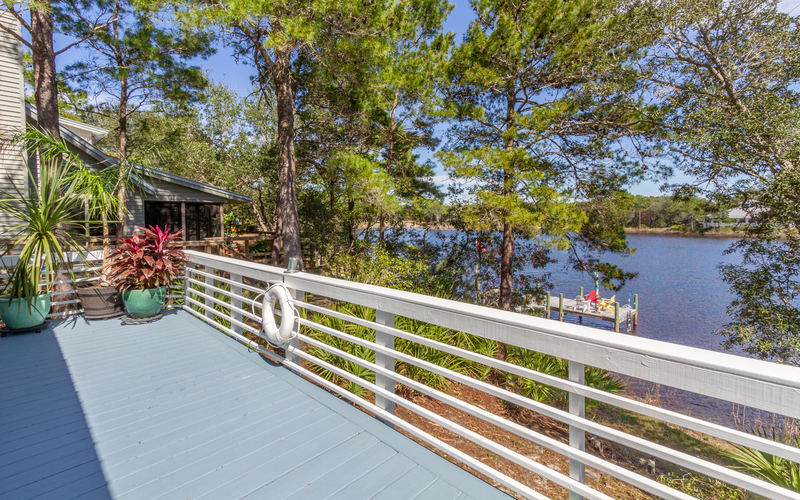 With a private dock, you can paddle to the outfall where the lake meets the gulf. 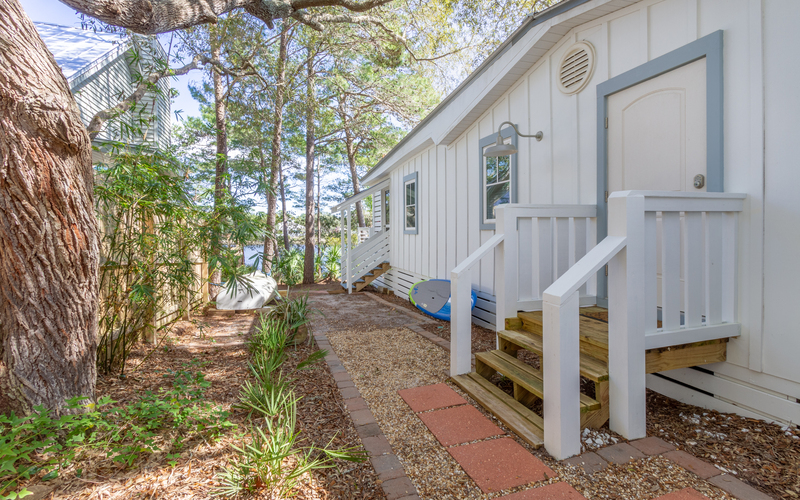 Lakehouse Hideaway is the perfect spot for a getaway with your significant other or another couple to enjoy all that scenic highway 30A has to offer. 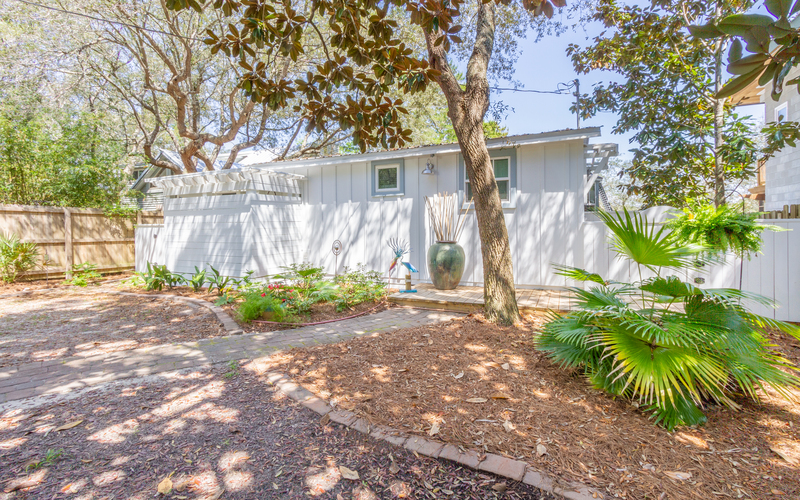 Located on Eastern Lake, this is a great location for a bike ride to the Hub, or local food favorites such as The Perfect Pig. 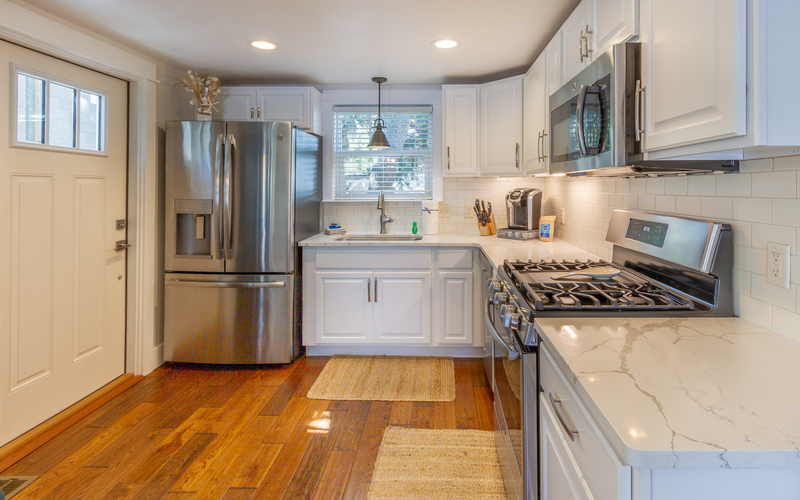 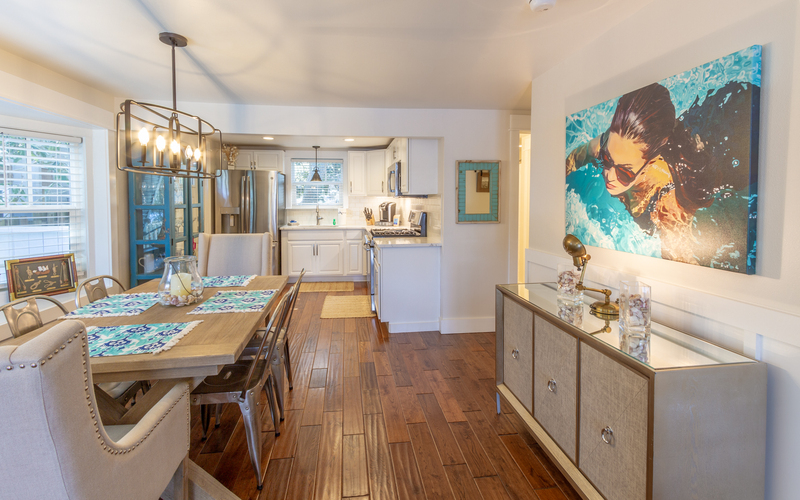 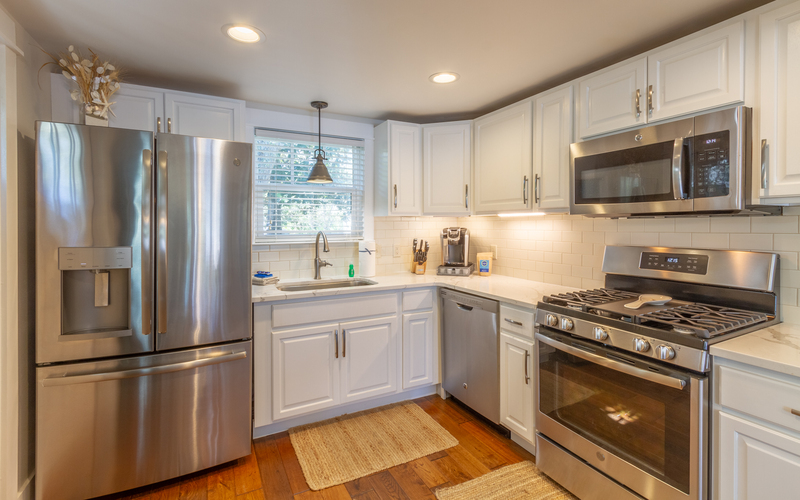 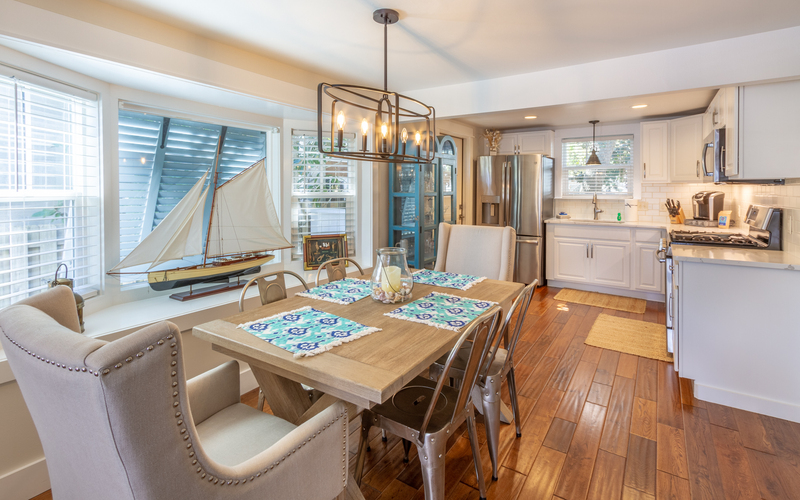 You will enter Lakehouse Hideaway in the kitchen and dining area and first notice the open living space, with lake views throughout the home. 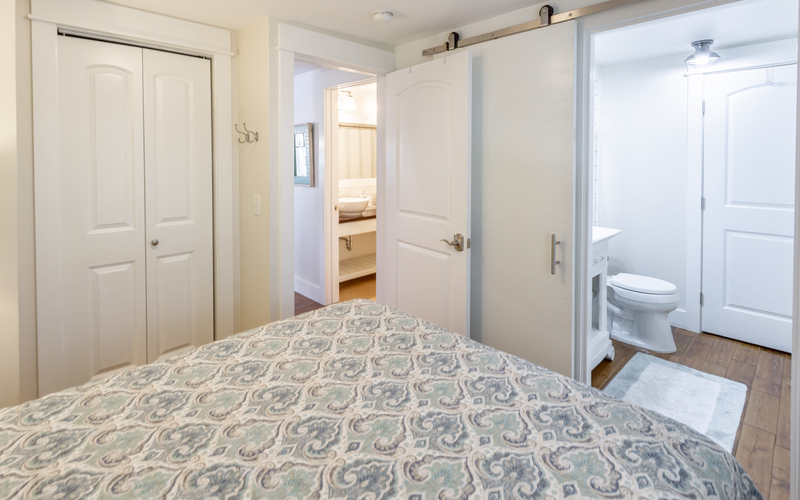 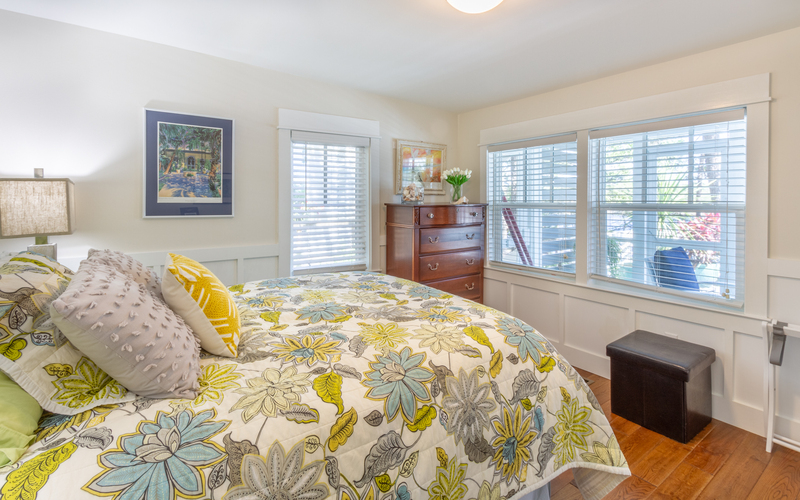 The queen bedroom is equipped with a half bath with an exterior access to the heated and cooled enclosed outdoor shower. 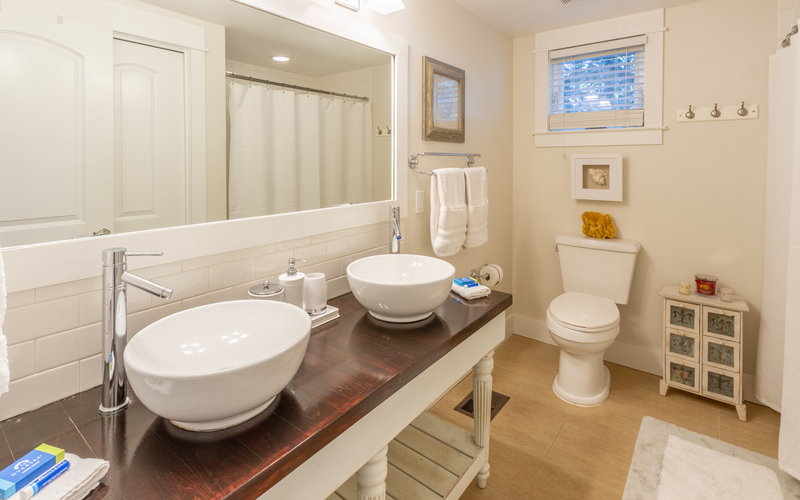 The shared bath is located off the kitchen. 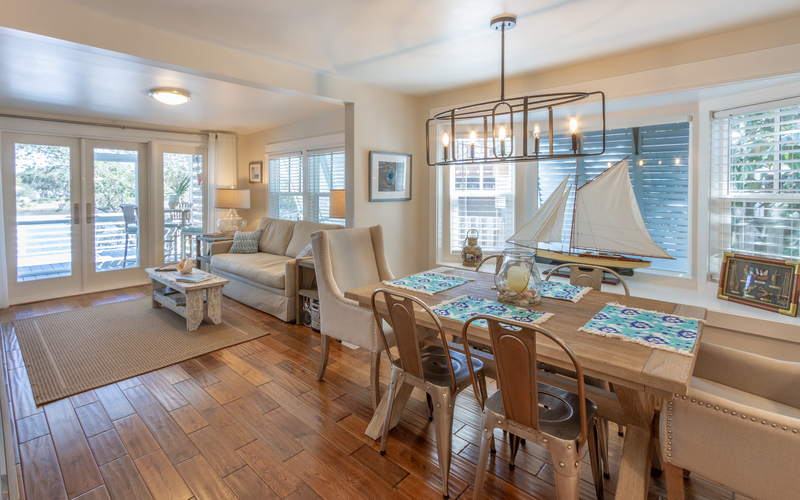 Through the dining area you will see the living room with the double doors going out to the screened in porch. 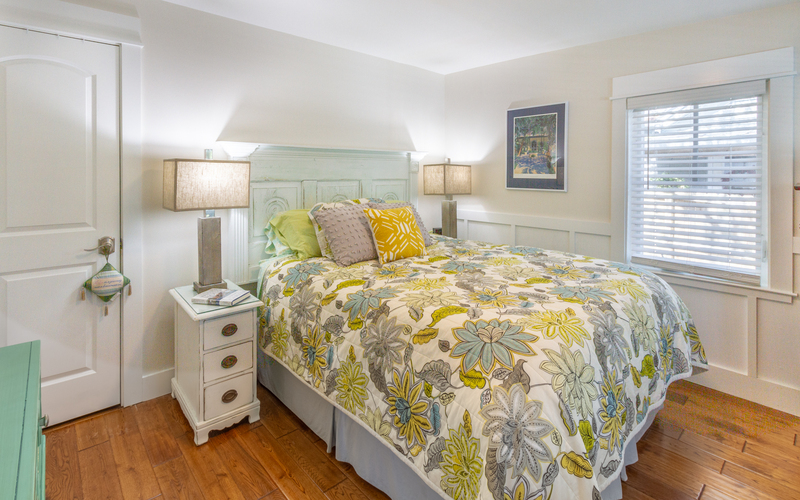 Lastly is the queen bedroom with windows facing the lake, perfect for the morning views. 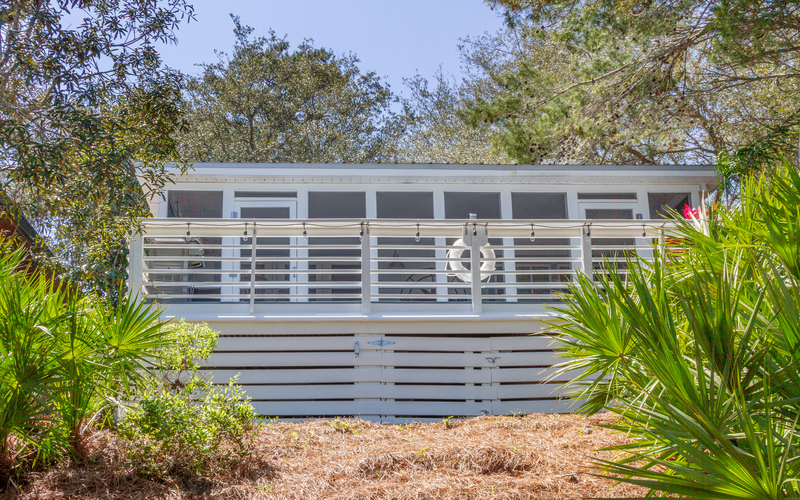 This home boasts a great outdoor living space that has both screened in and non-screened areas of the deck. 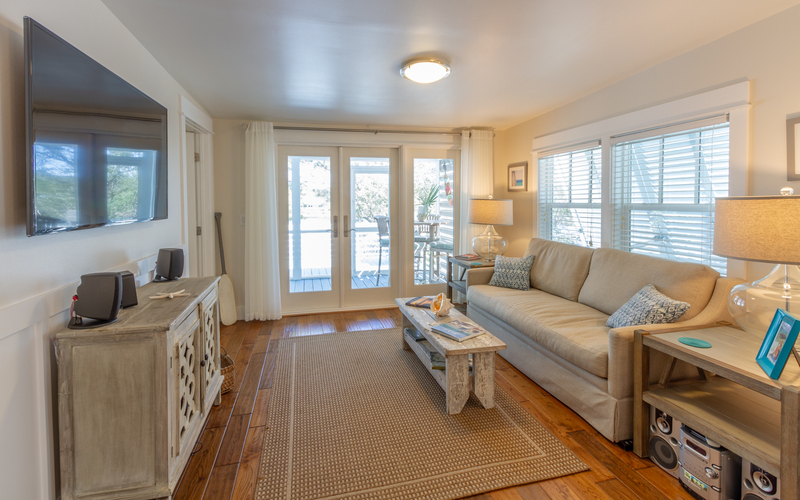 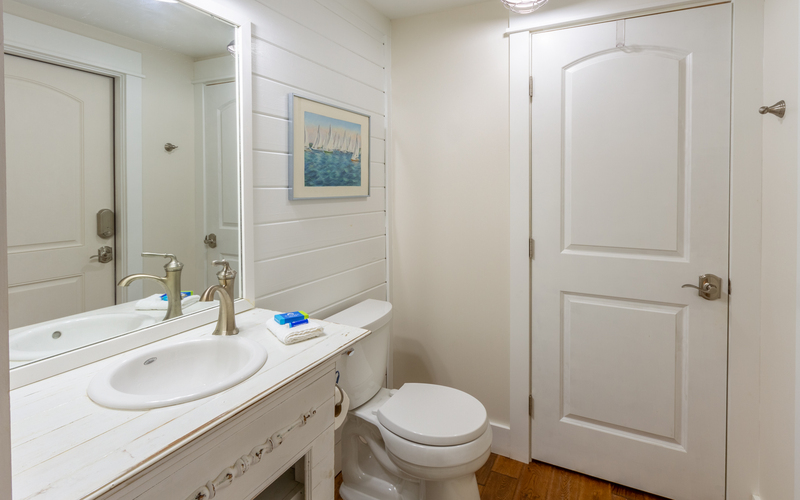 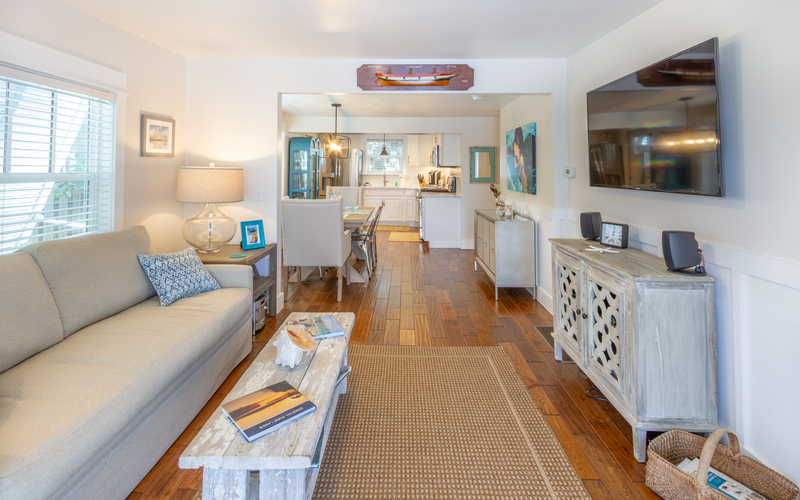 If you’re looking for a nice and quiet getaway on 30A, come stay with us at the Lakehouse Hideaway.